PHILADELPHIA - Joel Embiid had 32 points and 14 rebounds to lead the Philadelphia 76ers past fellow MVP contender James Harden and the Houston Rockets 121-93 on Monday night. Harden, selected Western Conference player of the week on Monday, finished with 37 points -- giving him 20 straight games with at least 30. 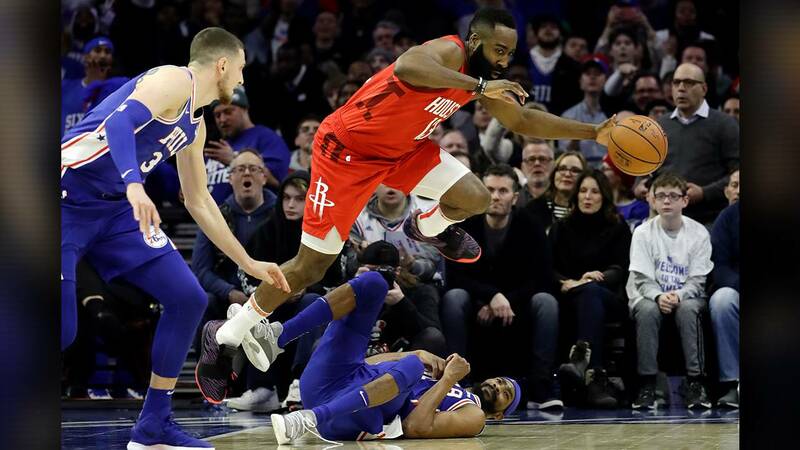 Harden had 10 points in the third but missed four of six field goal tries as the 76ers hounded him defensively with double-teams and different looks. 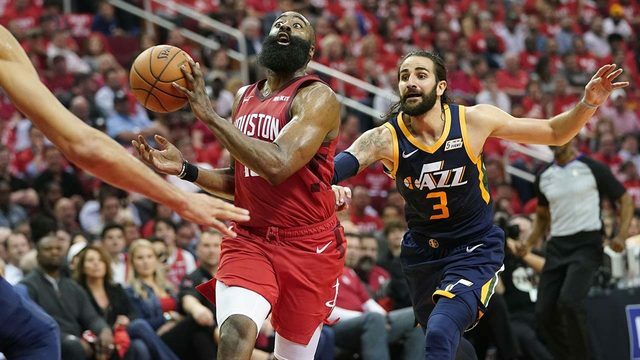 A tired-looking Harden's air ball with 12.3 seconds left in the third showed the effects of the Philadelphia defense -- and, perhaps, Harden's offensive workload. 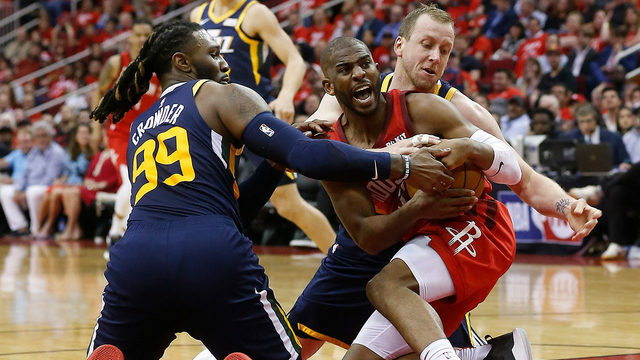 On a 10-day contract, Brewer replaced Butler in the starting lineup and was tasked with guarding Harden. Brewer was a gnat for the first 24 minutes, following Harden wherever he went. Harden took exception to Brewer guarding him without the ball 80 feet from the basket, pushing the 76ers forward behind the play. 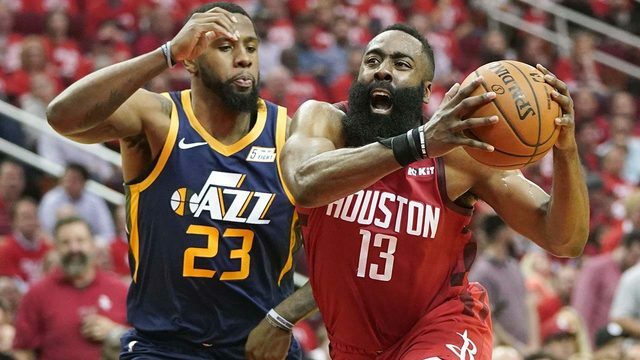 Harden wasn't called for a foul on that play, but picked up his third with 29.1 seconds left in the first half when he shoved Brewer away -- again causing the sold-out crowd to erupt in cheers.